I bought two packs of these knobs to upgrade a kitchen in my guest house. they are lovely old fashioned knobs that are easy to install and are an excellent value. 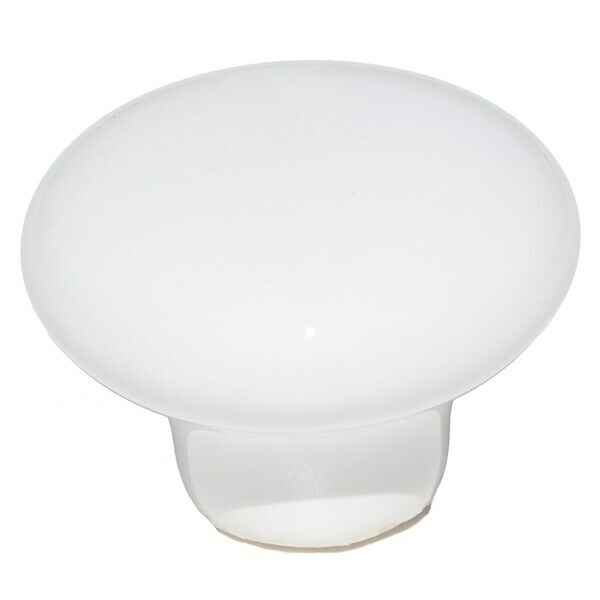 Enhance your cabinets or bedroom furniture with these beautiful white 1.25-inch ceramic mushroom knobs. This plain and simple knob will add beauty to your cabinets for years to come. Great kitchen knobs, great price! Only trouble was, we needed longer screws for our cabinets. Not really a big deal. Too many of these knobs have chips and some have the inserts for the machine screws too loose. The latter cannot really be tightened as the knob will simply loosen or come off entirely. Exactly what I wanted at a great price. I don't like the larger knobs. 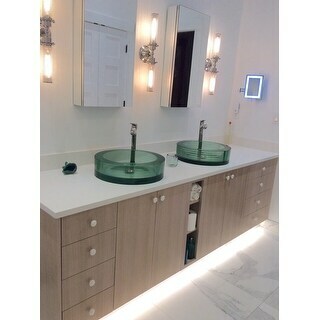 I purchased these as sort of a placeholder because they were so inexpensive and I had just too many decisions to make for other parts of this remodeled bathroom that I couldn't deal with just one more. We installed them and they've been in for about six months and I'm kind of used to them now, I may just leave them. One thing though they're not glued together on their shafts very well, I had to use some Apoxy glue to get them to stick but no big deal because I had some available. product was not what I ordered and had to be returned. People from Overstock were nice but too much trouble when second set ordered were substandard and had trouble installing them..........too much trouble because I have had to try to buy new screws, etc. after returning the first set.